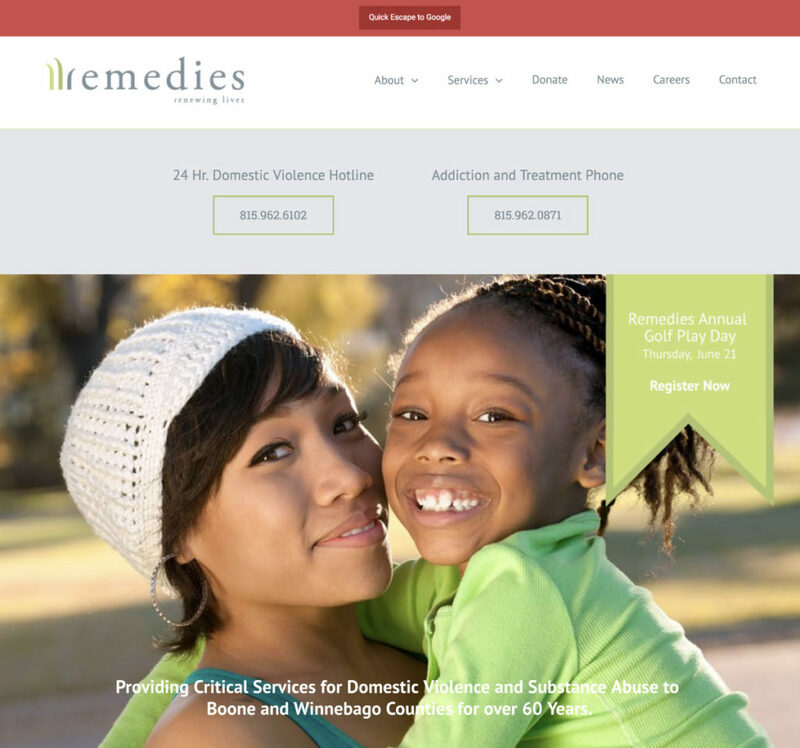 Digital Hive Mind (DHM) is pleased to announce the launch of a new website for Remedies Renewing Lives (www.remediesrenewinglives.org). Digital Hive Mind designed and developed a new website for the non-profit organization to provide a fresh look, an easy-to-navigate online experience, and improved user experience for both clients and donors. The new website features readily available information and resources related to domestic violence and substance abuse, an online donation page, an asset library to house the organization’s annual reports, as well as news and careers sections. DHM has provided an average of nearly 200 hours per year in pro bono marketing, advertising and creative services to Remedies Renewing Lives since 2015.